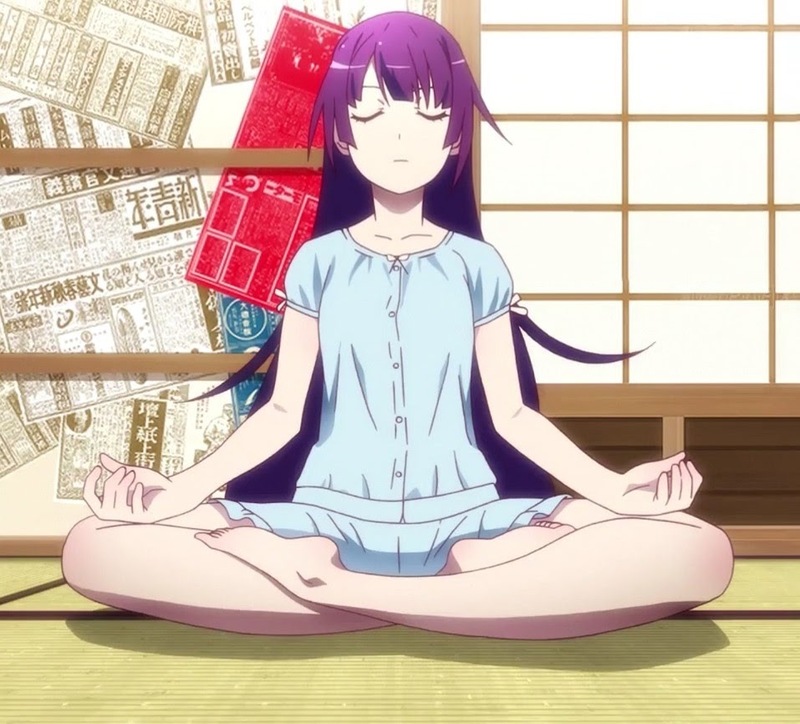 Senjougahara doesn't let a phone conversation with her boyfriend interrupt her yoga time. Senjougahara is always calm, even when she's being a little jealous. Of course, since this is Bakemonogatari, we're going to get our interesting fanservice shots. Kanbaru. Of course she'd strip down to "help out" Araragi-senpai in the bath.